Post I-net articles about TK here. The rules about the articles here are the same to magazine ones. Post movies review articles about TK films here (your own reviews preferably). The rules about the articles here are the same to magazine ones. If the article for the movie has been already created by someone else it will be removed or attached to the existing one (if contains new info). Post your own articles about TK here. The rules about the articles here are the same to magazine ones. Checked registered users can post magazine articles about TK but remember that this page is moderated: if the content of the article is not sufficient - the article will be removed without a warning. In case the article suffies - it will be translated to Rusisan and put by administrators to the Russian page. Good luck. Always put the link to the TK fanclub.do.am when posting materials from the site on the other I-net resources! Takeshi Kaneshiro working magic in "K-20"
In "K-29" we see Takeshi Kaneshiro play a magician shot in the belly, who then turns into a flock of pigeons and back into a human being. TOKYO: Usually, when I'm in Tokyo, only three names matter a lot to me. Joel Robuchon, Sadaharu Aoki and Pierre Hermé. 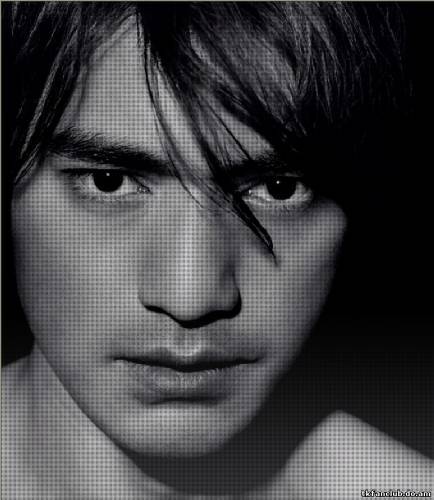 The Star Online Lifestyle Takeshi Kaneshiro, the brand Natural, modern, confident and virile superstar perfect for Biotherm Homme. STRIKE while the iron is hot, they say. With heart-throb Takeshi Kaneshiro fresh from his success playing Zhuge Liang – the wise premier and adviser of General Liu Bei in John Woo’s historic war epic Red Cliff – Emporio Armani snapped up the star in July to be the label’s new face. Headlining Emporio Armani’s 2008 autumn and winter marketing campaign, Kaneshiro is the first Asian model to front a campaign for the Italian label, joining the likes of other celebrities such as football stars David Beckham and Kaka, and actor Josh Hartnett. Kaneshiro’s first prominent modeling contract was with Prada a decade ago. Biotherm Homme is your first attempt at being a spokesperson for a men’s skincare range and your first endorsement ever. How long have you been the face of Biotherm Homme? This would be my third year. "I don't think Asian people get very good roles in Hollywood"
At just 31 years old, Takeshi Kaneshiro is one of Asian cinema's fastest rising superstars. Half-Taiwanese and half-Japanese, he hit the big time as a teen pop idol in the early 1990s, then graduated from music to movies with roles that include the critically-acclaimed Chungking Express, Fallen Angels and Returner. Avid videogame fans may also remember him as one of the voices of the button-bashing beat-'em-up Onimusha, where he starred alongside French actor Jean Reno. Here he talks about working on martial arts love story House of Flying Daggers. In House Of Flying Daggers you play a very intensive role. How much martial arts training did you have to do?